Found one file extension association related to PC MightyMax and 1 file format developed specifically for use with PC MightyMax. 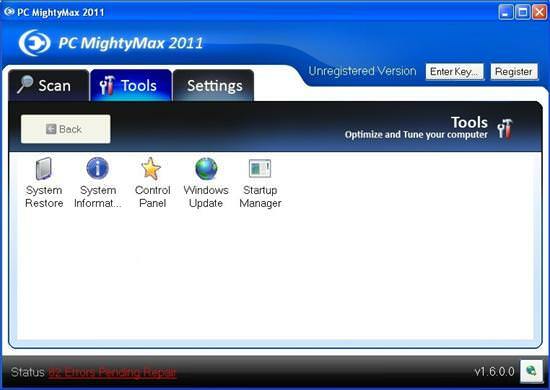 PC MightyMax is an award winning Registry Cleaner and error repair tool trusted by over 8,000,000 users worldwide. PC MightyMax is one the safest and most advanced registry cleaner available, and will thoroughly scan your computer for problems in about four minutes. The program can then create a system restore point and repair all of the problems found. If you need more information please contact the developers of PC MightyMax (PC MightyMax), or check out their product website.